Scan-121216-0001, originally uploaded by DevilCrayon. 120918-0007-LifeDawing, originally uploaded by DevilCrayon. 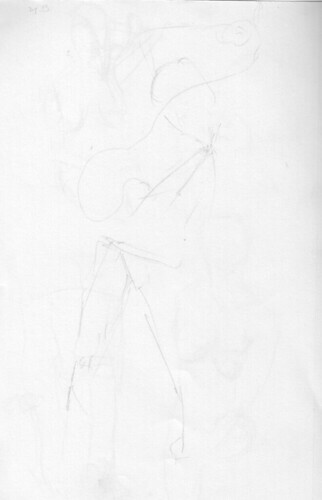 The second from the long pose. Got some detail and shading on the snake. 120918-0006-LifeDawing, originally uploaded by DevilCrayon. Ok, lied there. The other long pose is after this one. This was a really fast gesture. 120918-0005-LifeDawing, originally uploaded by DevilCrayon. 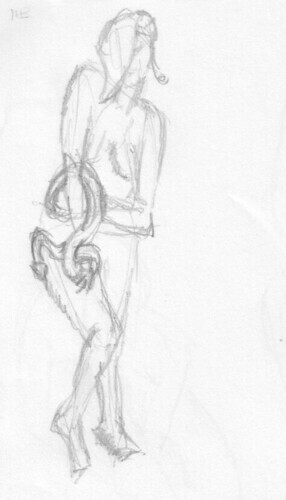 Finally the snake was still-ish for a longer pose. This one was long enough in fact that I got two sketches out of it. This and the next. 120918-0004-LifeDawing, originally uploaded by DevilCrayon. Snake was still a bit longer for these. Or I was warming up and getting faster. 120918-0003-LifeDawing, originally uploaded by DevilCrayon. 120918-0002-LifeDawing, originally uploaded by DevilCrayon. More snake poses. 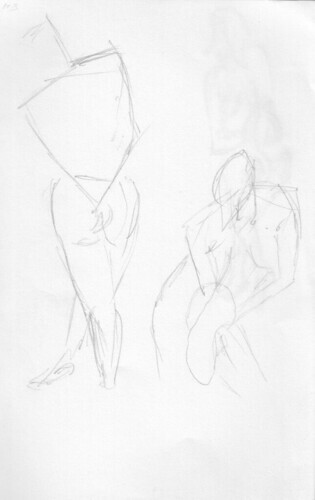 More gesture sketches of the same. 120918-0001-LifeDawing, originally uploaded by DevilCrayon. 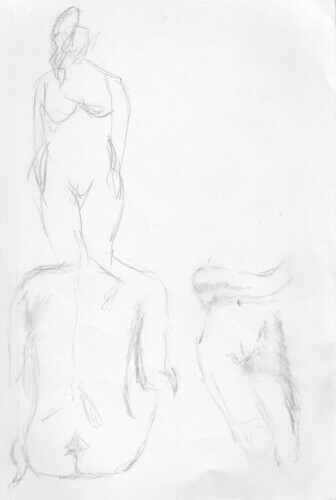 I went to Life Drawing at work for the 1st time since Feb. The model brought here pet python. Snakes don’t sit still just because you ask nicely, so pose length were very much up to the snake. 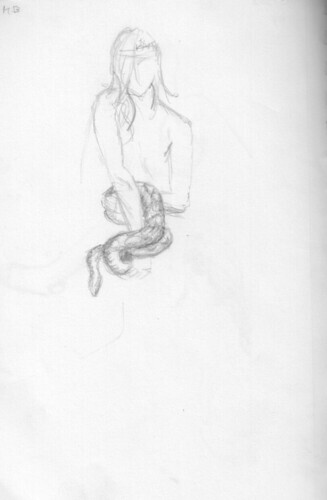 So my first few were a knee and the snakes head, then the model’s hair and face and then … move! 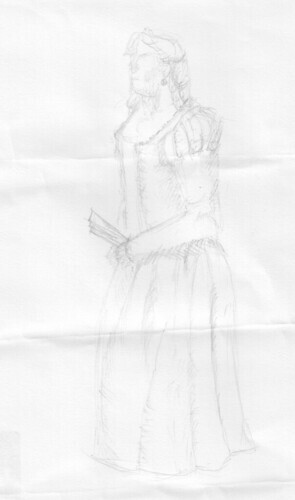 20120216-LongSession1, originally uploaded by DevilCrayon. 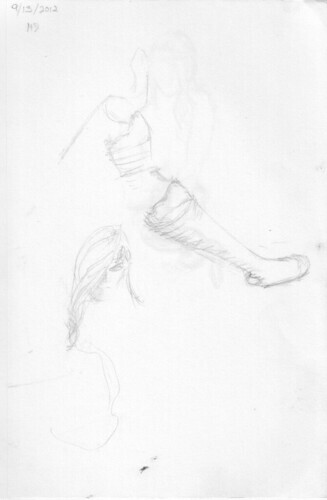 The 1st of two ~20 minute sketches from an hour long pose at work’s life drawing class. Two weeks ago the work life drawing class had a model doing the same pose for an hour. 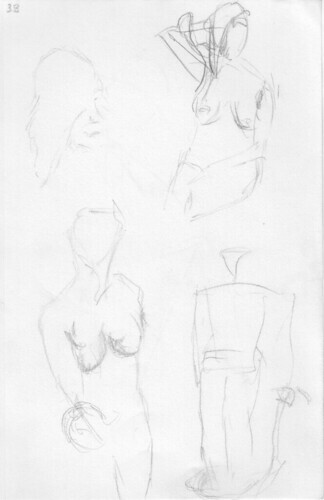 I did two ~20 min sketches. This is the 2nd of them.